First off, let me say that I’m a little embarrassed about how long it took me to read this novel. The only reason for this? Poor scheduling. I’ve been waiting until I get in my bed at night to read. So there I am, in my PJs, all nicely tucked beneath my covers, when I finally grab the book from my nightstand. About ten minutes later, I’m yawning and bobbing my head. Even though I majored in English, I’d never read Jane Eyre or seen any of the film adaptations of it, so I didn’t know the storyline. And let me say that I really enjoyed it. I found this novel pleasantly easy to read. A lot of 19th century British literature is dull and boring and filled with paragraph-long sentences that you have to re-read three times to comprehend. But Brontë s style of writing was surprisingly modern. The characters were still relatable. There were even a few bits of dialogue that actually made me laugh out loud! Despite many contemporary elements, the story also, of course, is your typical 19th century classic. It’s got a lonely orphan as the lead, a dark Gothic mansion filled with secrets, a mysterious unconventional male love interest with a few secrets of his own, lots of brooding, and a looming supernatural aura from beginning to end. So, of course it was right up my alley. And I really liked Jane. I felt I could identify with her in a lot of ways. She struggled with a sense of alienation, a search for “kindred spirits”, a community, a place to belong. But she also dealt with a feeling of imprisonment. She wanted independence. The battle between love and freedom. I really cared about what happened to Jane, and I did so all the way until the last page. So many times, I’ll love a story until that ¾ of the way point where it becomes mediocre and I lose interest. And even though it took me, er, two and a half months to finish it, I never lost interest. I’m gonna have to get busy watching the movie versions now. Which one’s the best? There's a BBC version on Netflix instant queue, I noticed. Is it good? Oh, and I also need to find my next unread classic to dive into. If you have any suggestions, feel free to share! 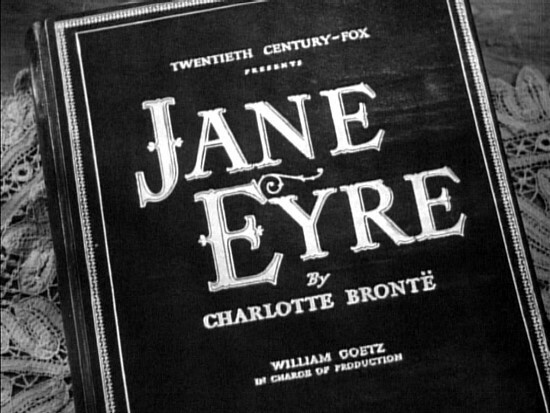 i read Jane Eyre and to be honest i'm not really hooked. I think Jane is an interesting character as well as Mr. Rochester. both are actually lonely and bitter in some ways. but the story just don't hook me. i prefer Pride and Prejudice. or LIttle Women by Louisa May Alcott. I haven't read lots of classic yet. Wuthering Heights doesn't get me too. But you definitely should read To Kill A Mockingbird if you haven't. classic or not, you just have to read it! I have never read To Kill A Mockingbird, so I will definitely put that on my reading list! It's about as classic as a book can be! Thanks for the suggestion.